If a network is not secure, how valuable is it? Introduction to Computer Networks and Cybersecurity takes an integrated approach to networking and cybersecurity, highlighting the interconnections so that you quickly understand the complex design issues in modern networks. This full-color book uses a wealth of examples and illustrations to effectively connect the principles of networks and networking protocols with the relevant cybersecurity issues. Organized into six parts, the book walks you through the fundamentals, starting with the way most people first encounter computer networks—through the Internet architecture. Part 1 covers the most important Internet applications and the methods used to develop them. Part 2 discusses the network edge, consisting of hosts, access networks, LANs, and the physical media used with the physical and link layers. Part 3 explores the network core, including packet/circuit switches, routers, and the Internet backbone, and Part 4 examines reliable transport and the management of network congestion. 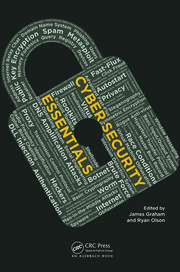 Building on the concepts and principles, the book then delves into state-of-the-art cybersecurity mechanisms in Part 5. It reviews the types of malware and the various security systems, made up of firewalls, intrusion detection systems, and other components. Crucially, it provides a seamless view of an information infrastructure in which security capabilities are built in rather than treated as an add-on feature. The book closes with a look at emerging technologies, including virtualization and data center and cloud computing unified communication. This comprehensive text supplies a carefully designed introduction to both the fundamentals of networks and the latest advances in Internet security. Addressing cybersecurity from an Internet perspective, it prepares you to better understand the motivation and methods of cyber attacks and what you can do to protect the networks and the applications that run on them. The book’s modular design offers exceptional flexibility, whether you want to use it for quick reference, self-study, or a wide variety of one- or two-semester courses in computer networks, cybersecurity, or a hybrid of both. Learning goals in each chapter show you what you can expect to learn, and end-of-chapter problems and questions test your understanding. Throughout, the book uses real-world examples and extensive illustrations and screen captures to explain complicated concepts simply and clearly. Ancillary materials, including PowerPoint® animations, are available to instructors with qualifying course adoption. Chwan-Hwa "John" Wu joined the faculty of Auburn University, Alabama, in 1987, and is currently a professor of electrical and computer engineering. He has been the principal investigator on research projects funded by NSF, the U.S. Army, NASA, USDA, and many companies, including Northrop Grumman and Lockheed Martin. His current research interests include cybersecurity. He is an author and co-author of two books, 58 journal papers, and more than 130 conference publications. He also holds five U.S. patents. Dr. Wu is a Fellow of the IEEE. J. David Irwin joined Auburn University, Alabama, in 1969, and is currently the Earle C. Williams Eminent Scholar in the Electrical and Computer Engineering Department. He is the author or co-author of numerous publications, including 17 textbooks. He has held numerous positions within the IEEE, including president of both the Industrial Electronics and Education Societies, as well as editor-in-chief of the IEEE Transactions on Industrial Electronics. He is a Life Fellow of the IEEE and a Fellow of both the ASEE and the AAAS. He is the recipient of numerous education and technical awards. "Introduction to Computer Networks and Cybersecurity is much more than an introductory book. ... It is a well written, organized, and comprehensive book regarding the security in the Internet. The authors present analytically a useful manual concerning wireless security, malware defense, and the applications in Web security. The book helps readers to follow their own paths of learning while it is structured in distinctive modules that allow for flexible reading. It is a well-informed, revised, and comprehensible educational book that addresses not only professionals but also students or anybody else interested in cyber security and needs an integrated source." "This book touches every corner of the topic of computer network and cybersecurity. It explains thoroughly the concept of network layers. There are detailed instructions and illustrations on the design of each network layer employing the newest Cisco technology. In addition, the book discusses the security issues in the context of computer networks. Then it presents different prevention algorithms and techniques, starting with cryptographic techniques. Firewalls, intrusion detection/prevention systems, authentication using hash, secure socket layer, virtual private network, and wireless network security are some of the security topics, which are described with real-life scenarios. 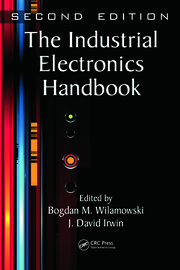 The strength of the book lies in the fact that it also includes the recent and emerging Internet Engineering Task Force and Institute of Electrical and Electronic Engineers standards and drafts that govern computer network and security technologies. Both the Instructor and the students would be able to maintain an up-to-date knowledge on the state-of-the-art technologies regarding network security. ... 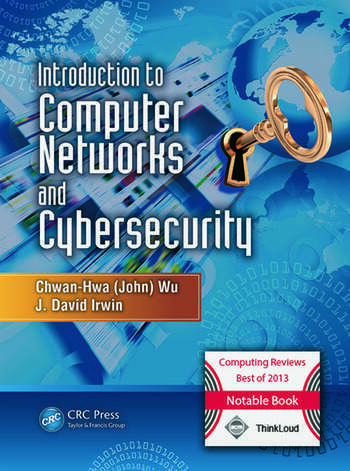 The text book presents a comprehensive overview of the fundamental concepts as well as state-of-the-art technologies in computer networks and security in cyber domain. The modular structure of the book makes it easy to adapt it for a variety of programs, including computer engineering, computer science, computer networks, computer security, and security systems, with different student backgrounds." "This book represents one of the most comprehensive overviews of computer security I have seen recently. The reader can quickly identify and learn about various cyber attacks, and become familiar with terminology of attacks, authentication, and protocols (chain of trust, phishing attacks, cross-site request forgery attacks, bonnet attacks, DNSSEC, DKIM, SNMP, …). ... The coupling of networking protocols and networks with their corresponding cybersecurity issues is a very good idea." "This book combines good technical details with higher-level insights designed to help the reader focus on the right things and to understand them sufficiently. ... an up-to-date and well-written book on an exciting area of computing that forms the foundation for our modern, connected lives." "This book is an invaluable resource for students at all levels interested in computer cybersecurity. It also serves as an excellent reference in cybersecurity for professionals in this fast-evolving and critical field. This is an excellent text, content is very refreshing, informative, and easy to follow for students ranging from novice to advanced levels. It contains an impressive collection of up-to-date cybersecurity issues and analysis." "... this book offers a full and comprehensive view of the state of the art on computer networks and cyber security issues and could serve as a sort of handbook for this area by providing clear and detailed explanations of the related various topics." "Easy-to-read, current and very well-written text." "One cannot deal with cybersecurity without being familiar with networking (and systems and programming for that matter) but I cannot remember seeing them in the same book, especially treated at that level of detail." "Every chapter presents its own goals, giving the students the proper perspective. Identifying learning goals is the first step to proper learning. ... [This book] makes cybersecurity a concrete object that students can touch and feel, rather than just an abstract concept." "This book by Wu and Irwin is one-stop shopping for a book that covers introduction to computer networks and to network security. Based on their industrial experience the authors selected the most important topics of both areas and created a text that can be used to learn about issues of network security while catching up on necessary details of computer networks." "I will recommend this book to any one that seeks to have in-depth knowledge in network security." "A very flexible textbook, suitable for a number of different types of lectures." "This book provides valuable details of many key network protocols and algorithms that help the readers gain insight quickly. ... Examples and homework problems given in the book are highly valuable, considerably beneficial for the readers to better understand the materials covered." "This is an excellent book to teach a course on network security. ... The material will prepare the students for exercising better protection in terms of understanding the motivation of the attackers and how to deal with and mitigate the situation." "This is a fantastic and practical book that provides great introduction to computer networking technology and comprehensive treatment of cybersecurity. The scope of the book covers the technology widely used in today’s computers, Internet, and servers through practical examples. The book provides important insights into how to enjoy a better and secure Internet life–it is a must read." "Chapters dealing with cybersecurity are solidly rooted in modern computer networking technologies and are well situated in real interconnection scenarios. ... Concepts are introduced with a clear language and progressively explained with a satisfactory degree of accuracy without exceeding in formalism. This enables understanding cybersecurity principles with small effort and makes the book suitable also to readers with little or no specific background in this area. ... The coverage of topics is very comprehensive and well balanced to satisfy a large number of teaching and learning requirements through different possible selections of parts of the material presented." "It gives a complete treatment of the critical important field of computer networks and cybersecurity in a clear and methodical manner. ... The learning features are comprehensive, including the learning goals for each chapter, extensive examples to illustrate fundamental principles, numerous diagrams and illustrations to enhance the presentation, and a large number of end-of-chapter problems and questions to evaluate the student’s understanding of the chapters’ content." "This is the main strength of the book—it is specifically designed to be helpful to teach courses on networks and its security. It is student-oriented as well as instructor-oriented—it makes the job of learning and teaching easier to the both sides." "... stands out as a different book. ... This book can be adopted as a primary textbook for the undergraduate and the graduate classes in computer security. Even professionals working in the networking and security domain will find this book as an invaluable reference material. 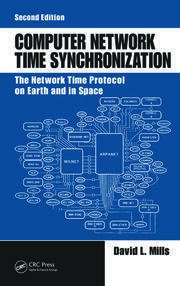 The strength of this book is its complete coverage of various layers of network layers from a security point of view." "The authors seem to have struck the right balance between technical detail and descriptiveness. Without glossing over the operational aspects of the multitude of architectures and protocols they discuss, the authors manage to retain the holistic picture across all the communication-oriented layers of the ISO OSI Model. Numerous elaborate examples illustrate new concepts immediately after they are introduced, and guide the reader almost by hand in understanding ‘how stuff works’. 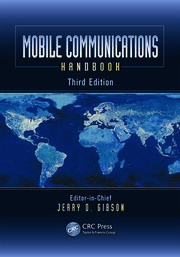 Inclusion of wireless and mobile networking, network virtualization and cybersecurity makes the book truly state of the art. The last part that deals with cybersecurity is especially exciting and documents the authors' vast knowledge of information security, communication protocols and application-level programming alike." "To do something in the real world of networks, you need to understand the protocols in bit-by-bit, byte-by-byte level of details, as done in this book. I would also encourage my graduate students to read this book, since following through the book can guide the students to easily understand the networking protocols in a straightforward way as a software engineer and also as a network designer."